The Order of Malichea and the Lost Sciences – the legend. AD650: St Aidian founded a monastery at Lindisfarne on a small island (later called Holy Island) off the eastern coast of northern Britain. Scholars from across the whole of the known world, from Europe, Asia, and north Africa, came to Lindisfarne to exchange researches on a huge range of topics, especially the sciences. They brought their notebooks and the monks at the monastery made copies for the Monastery Library. By 780 the library at Lindisfarne held most of the knowledge at that time. An Order dedicated to the development of science sprang up within the larger Order at Lindisfarne. This was the Order of Malichea. 793: the monks at Lindisfarne heard a rumour that the Vikings were preparing to invade Britain. The monks were afraid that the Vikings would come to Holy Island, and if they did they’d destroy the library with all these precious scientific texts. The head of the Order of Malichea decided to take all the scientific texts away to a sympathetic abbey in Caen in Normandy, northern France, where the library found safe haven. In 793 the Vikings did invade Holy Island, as had been predicted, and they destroyed the priory at Lindisfarne before they went on to attack the rest of Britain. But the science books were now safe in France. From 793 the library of scientific texts, now held by the Order of Malichea at the Monastery in Caen were added to, with scientists from all faiths, all nations bringing their texts for copying. 1483: The Inquisition was set up in Spain under Tomas Torquemada, intended to seek out and destroy heresy. That included all heretical writing and thought. The Inquisition spread beyond Spain to Italy, and there were fears that the Inquisition would spread through the rest of Continental Europe. The monks of the Order of Malichea at the abbey in Caen were very worried: many of the scientific works in their library were by Arabic or Islamic scholars, and many dated from pre-Christian Roman or Greek times. For that reason alone, most of them would be considered heretical, and would be destroyed, as would any texts that went against the orthodox Church view of the world. In order to save the texts from destruction, they moved the library again. A large party of monks was sent to Britain, under the guise of making a pilgrimage to Glastonbury, because the Abbot at Glastonbury was sympathetic to the Order of Malichea. Each monk took with him a number of books. And at Glastonbury Abbey they hid the library in secret rooms behind the official library. 1497: The threat of the Inquisition spread, and the Church in Britain also began to seek out and destroy heretical thinking in its ranks. So, in 1497 the leader of the Order of Malichea instructed the monks of the Order to take these so-called “heretical” science books and hide them in secure places, hiding each book in a separate place. To ensure the books would not be discovered, each book was to be hidden in a place that was unlikely to be disturbed because it was either sacred, or said to be cursed, or claimed to be haunted. A coded list of the different books and their hiding places was kept, known as The Index. The Abbot’s intention was for the books to stay hidden until the threat of the Inquisition had passed, and then the books could be recovered and returned to the Abbey library in safety. 1498: Plague returned to Britain and wiped out a huge percentage of the population, including many of the monks who had hidden the scientific texts. With them went the knowledge of where they’d hidden them. The only evidence that these “lost sciences” actually existed and had been hidden were in the Journal of the Order of Malichea, which was a history of the Order handed down through the ages since AD780, and The Index, the list of where the scientific books were hidden. 1536: Henry VIII ordered the Dissolution of the Monasteries. 1539: The Abbot of Glastonbury, Richard Whiting, refused to allow the King’s troops to enter the Abbey when they arrived to take possession in 1539. As a result of Whiting’s defiance he was hanged, drawn and quartered as a traitor at Glastonbury Tor on November 15 1539. Henry VIII’s forces then sacked the Abbey, and the books in the Priory’s library, including the Journal of the Order of Malichea, came into the hands of the King, and so into the possession of the State. But it’s not known what happened to the Index. It may have been destroyed during the attack by the King’s men on Glastonbury. The Journal of the Order of Malichea has also since “disappeared”, though whether it is still in the archives of the State is a matter of conjecture. Jake Wells: (19 years old) Jake was abandoned soon after he was born. He was brought up in a Care Home, and then a string of foster homes. He left school at 16 because he couldn’t afford to go on to further education. After he left school he worked in a series of dead-end jobs. But he always had one burning ambition: to be a journalist. He wanted to write witty and biting articles about the issues of the day, expose corrupt politicians., But getting into journalism wasn’t that easy; he discovered that he needed a Degree. It was while he had been wondering how to get over this problem that he read about a competition the Department of Science was running. A national newspaper had accused the Department of being elitist, pointing out that most of its high level employees were from Oxford or Cambridge. The Department acted to prove them wrong: a competition was launched to offer an opportunity for a Trainee Press Officer from what was termed “the disadvantaged”. Jake entered the competition and won the job. For Jake, everything seemed exciting: a life and a career full of possibilities. And then the hidden books of Malichea came into his life, and everything was turned upside down. 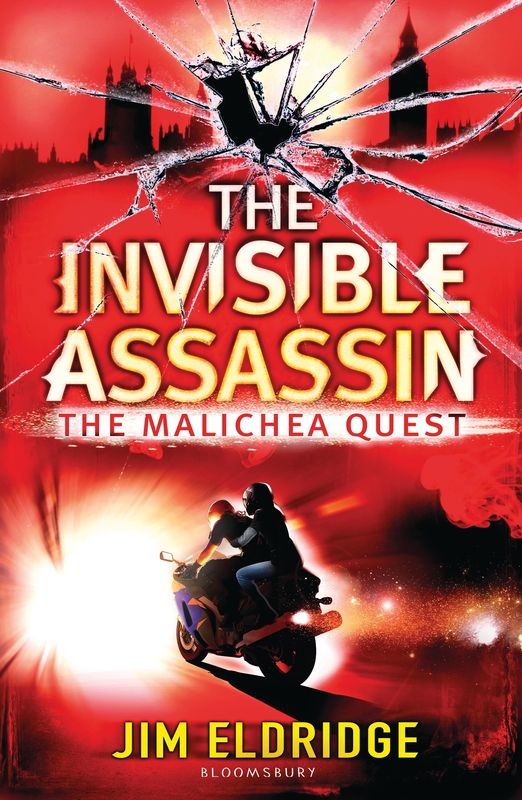 Book 1: The Invisible Assassin: When Jake Wells is sent to cover a seeming ‘non-story’ of some demonstrators agitating against the construction of a new University Science block, he is not impressed. But what happens at the site is shocking and terrifying … a man seeming to turn into a mass of vegetable matter. Soon afterwards, sinister things start happening: someone tries to push Jake under a tube train. Lauren, Jake’s girlfriend, has her computer stolen; and Jake returns to his flat to find a man stabbed to death and is accused of his murder. All of this is connected to the discovery of the ancient and secret Order if Malichea. But who is trying to prevent the information about the Order of Malichea coming out? And why? One thing is certain, Jake must fight for his life to escape a web of intrigue, danger and murder. 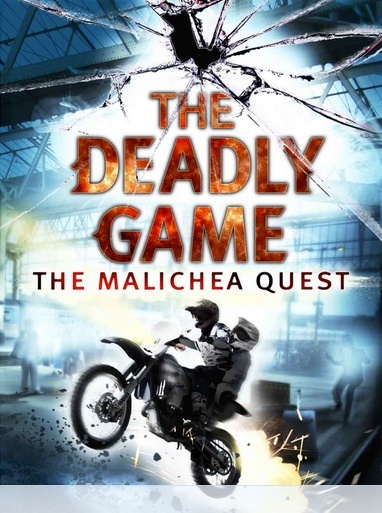 Book 2: The Deadly Game: Jake Wells is determined to reveal the truth about the Order of Malichea, and the only way to do that is find one of the hidden books and get it into the public domain. But powerful forces will stop at nothing to prevent this. As a ruse, Jake tries a cover of searching at Glastonbury for relics of the Arthurian legend, but it backfires, and soon Jake is on the run, a target for murder and terrifying torture, with every avenue of escape cut off. Can he survive? 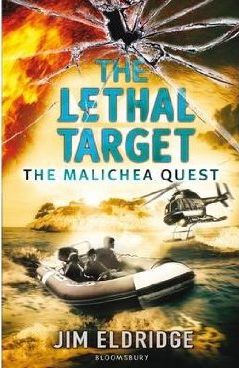 Book 3: The Lethal Target: Jake Wells is used to threats on his life. 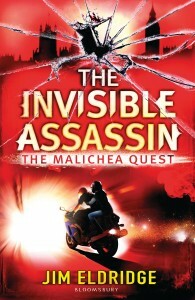 Ever since he found out about the secret Order of Malichea, he has been hunted by dangerous forces. But this time everything is at stake. The Russians are searching for a book that holds the key to a deadly formula. A formula that makes any living thing burn … from the inside. And Jake is in their way. 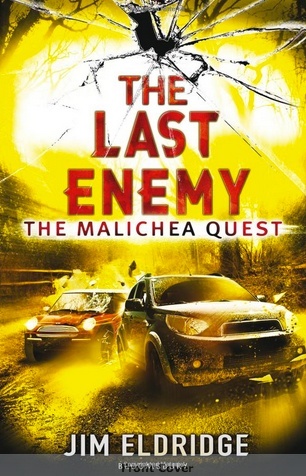 Book 4: The Last Enemy: The index of the Order of Malichea holds knowledge people will kill for. The world’s most powerful organisations are closing in on centuries-old wisdom that could change the future. Jake Wells must get there first. But he will have to come face to face with his ultimate enemy.